Fans of alternative rock… this may be one exciting news for you. Live! 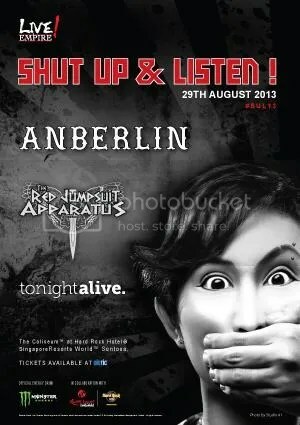 Empire will be bringing you a mini-festival called Shut Up & Listen! 2013, which will be a debut for an annual event featuring a few international bands. This year, it will be held at The Coliseum™, at Hard Rock Hotel® Singapore, Resorts World® Sentosa, on the 29th August 2013 (Thursday), 7pm. Members of Anberlin originally formed a band under the name SaGoh 24/7 in 1998, releasing two studio albums before disbanding, with the members having a change in musical direction and name. 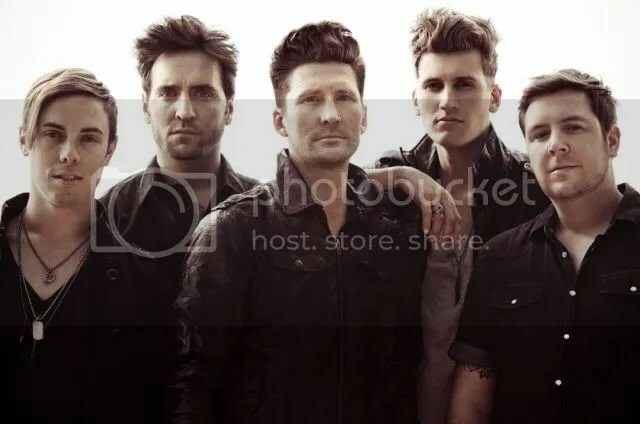 This American rock band, Anberlin, was then formed in Winter Haven, Florida in 2002. 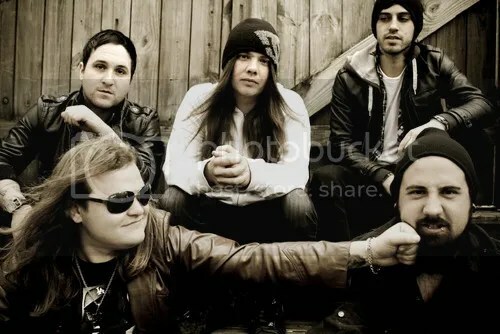 Since the beginning of 2007, the band has consisted of lead vocalist Stephen Christian, guitarists Joseph Milligan and Christian McAlhaney, bassist Deon Rexroat, and drummer Nathan Young. The band continued its rise to prominence while enjoying a loyal MySpace following and averaging well over 200 live shows per year. Singing with Universal Republic in August 2007, their first album on the major label titled New Surrender, was released on 2008. The album peaked at No. 13 on the Billboard 200, with the first single, “Feel Good Drag”, claiming No. 1 on the Alternative Songs chart, after 29 weeks in the chart. Personally, one of my favourites from them would be A Day Late. It is basically about two parties being in love but have never told one another. When one party finally got the courage to tell the other, he/she was a day late, because they both had moved on with their lives. Check them out on their official website here. The Red Jumpsuit Apparatus is an American rock band that was formed in Middleburg, Florida, in 2003. Originating in Florida, childhood friends Ronnie ‘RomRom’ Winter and Duke Kitchens started the band while attending an AP music theory class, in 2001. The Red Jumpsuit Apparatus was officially formed in 2003 after the addition of other members that were currently in other bands. How was the band name chosen, you wonder? Well, it was chosen by the band voting for random words they threw on a wall! Just like Anberlin, they band began to gain popularity through social media sites like MySpace. With increased live shows and performances, their fan base continued to build to an almost unheard-of level for a local band, which then caught the attention of Jason Flom of Virgin Records in 2005, where they started to work on their first debut album. This would be one song that most of you would recognise. It brings me back to my lower secondary school days, when this song was so popular and it could be heard everywhere! Everybody were singing along to the lyrics. Some of my other favourites would be False Pretense, Face Down, You Better Pray. Clearly, I have lost touch with them because my favourites are their oldies! It is definitely time for me to catch up! A recent blog posted on the band’s pure volume page announced that this year marks the ten year anniversary of the band! This would be the second time they are gracing our shores. From the reviews of their first concert back in 2009, held at D’ Marquee, Downtown East, their concert’s a loud, fun and energy packed one, and fans seemed to have enjoyed themselves a whole lot! So fans, if you have missed out on the first, do not forget to catch them this time! 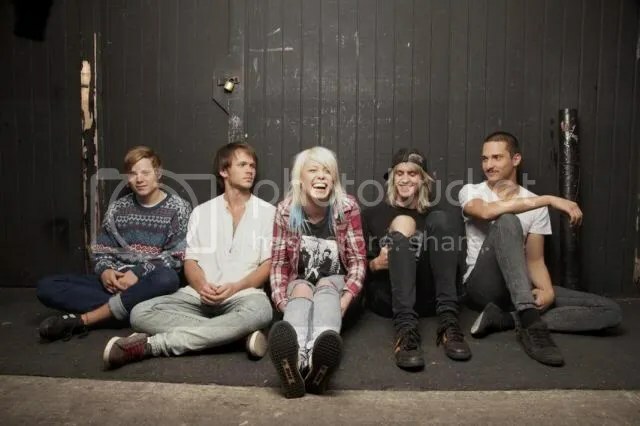 Tonight Alive have been listed as one of the top 10 Australian bands of all time on rock radio station KROQ in the US. They have played huge events like the Bamboozle Festival and Warped Tour. Also, they were featured on the Punk Goes Pop 4 compilation CD. They were signed to Fearless Records in November 2011 and released ‘What Are You So Scared Of?’. Early 2013, during their first tour in Sydney, the band announced that their second studio album, “The Other Side”, would be released in September, then proceeded to play their upcoming single, “The Ocean”. Tickets are already available at SISTIC website and all SISTIC agents. *Not including SISTIC Booking fee. Check the online SISTIC website (link above) for further discounts on Standard Tickets.